This is a unique blend of soluble and insoluble fiber. The fiber comes from psyllium hulls and psyllium seeds. Fiber cleanse also contains apple fiber, slippery elm, flax-seed, and bentonite. The importance of fiber is well-known for colon health. In fact, it is known to supports better digestion and weight control. This formula contains soluble and insoluble fiber. First, the psyllium seeds are soluble fiber and acts as a lubricant as well as a cleaner. Then, the insoluble fiber bulks up the stool creating a bowel movement. The insoluble fiber scrapes the intestinal wall acting as a scrubbing broom in the colon. This removes the buildup and exposes the mucosal lining for better nutrient uptake. This scraping also helps to remove parasitic egg pouches and other things related to parasite infestation. Para-Cl contains black walnut leaves and hulls, a special blend of coves, papaya fruit and slippery elm. These aid in cleansing the body. The papaya fruit helps the body to digest and assimilate the product. While the slippery elm soothes the digestive system. This is an excellent formula to help destroy parasites allowing them to be easily eliminated from the body. Turpentine is the sap from the pine tree. It is very good at killing parasites. It is also very inexpensive. The placement of the turpentine is dependent on where the parasites are located. A TENS unit passes a very small but specific electrical current through your body. This current kills parasites. Think of this process as putting your parasites in the electric chair. It really is just that simple. This helps reestablish the intestinal flora. 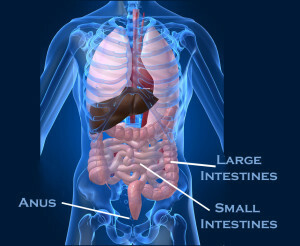 As the feces is 60% bacteria, reestablishing the intestinal flora (bacteria) is critical. In fact, this will aide with regular passing of the bowels. At Optimum Health we work to do more than reestablish the intestinal flora. We try to recolonize it so that your body will have its own steady supply of bacteria without having to take a probiotic daily.